It was about 6 p.m. on a chilly Tuesday evening when I saw the first clue posted on a popular anonymous posting app. It was a photo of TRU’s House of Learning building with a caption which read “handicapped accessible” followed by a beer glass emoji. I had heard about some charitable soul hiding cans of beer around campus, but dismissed it as a prank and envisioned the poster watching from afar as thirsty and unaware scavengers searched for an ice-cold beer that wasn’t there. Despite my assumptions, I decided to set out in search of the hidden beer. The clue seemed straightforward enough. I walked a quick lap of the House of Learning, examining the access ramps and handicapped entrances. A small mound of snow on one of the ramps caught my eye. Carved into it was the cylindrical recess left by a can of beer. I was too late – this time. Now realizing just how real this was, I set out to find the person who set this contest in motion and collect as much free beer as possible along the way. My search continued the next day. A new post on the app alerted me to a new opportunity. It pointed to a periodical in the HOL library called the Fibonacci Quarterly. I feared that my quest for beer might be cut short by my sub-par math skills, but the next clue was scrawled on a scrap of paper tucked beneath the stack of soft-cover journals. The clue sent me across campus to the main library in search of a book entitled Malleus Maleficarum. After a brief conversation with one of the librarians in which I both obtained the book’s catalog number and artfully deflected questions about why I needed a 15th-century treatise on the persecution of witches, I found the next clue tucked between the pages. The clue directed me to another book in the HOL library, so I crossed the campus once more, vaguely suspicious that there would be no reward at the end of the increasingly complex scavenger hunt. 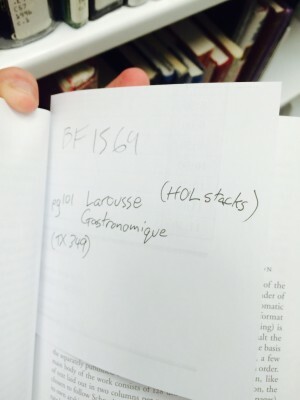 I found the book (a large and heavy culinary encyclopedia) without much difficulty and found a scrap of paper inside telling me to post on the app for my last clue. I referenced the recipe on the page marked by the clue in my post and sat feverishly refreshing the page until the poster replied. The poster said that the beer was hidden near the Fibonacci Quarterlies where my search began. I located the prize of the scavenger hunt, a can of small batch wheat ale and left the library with it bulging in my jacket pocket. The original poster must have been nearby to hide the beer on such short notice, as I left the library with the impression that I was being watched. Now that I knew that whoever was posting the clues was more interested in filling people’s glasses than pulling their legs, the next step was to make contact with this dedicated individual. I planned to leave behind my contact information after successfully finding another beer, a kind of “dead drop” ripped from the pages of a Cold War spy thriller. The original poster kept a steady pace of hiding two or three beers per day, but other searchers were so fast that it was a few days until I was able to find another beer and leave behind my phone number. The poster contacted me quickly and wished to remain anonymous, so we decided on the topical pseudonym John Molson to help him share his story with TRU. Only two of his friends know that he is the one hiding the beer, Molson said. “I’ve actually seen one of my good friends pick up a beer that I hid and he had no idea that it was me. He was pretty excited about it and said he was going to go hide one somewhere else,” Molson said. “I’ve had [the app] for about three months now and other than people saying some funny stuff, there wasn’t much going on. I decided to have some fun with it and get everyone together as a community almost. 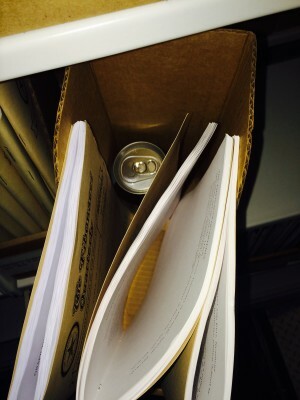 People are picking it up – I’m not the only one hiding beer now, so we’ll see how it goes,” said Molson, when asked about his motivations for organizing the scavenger hunts. Amidst the mounting cost of keeping the thirsty masses out searching TRU’s many nooks and crannies, Molson said that he’d like to see more people pitch in and expand the scavenger hunts, because everyone involved is having fun. Molson said that he selects hiding spots that are out of the way, but still easily accessible so everyone can participate. He sees his scavenger hunts as a positive community-building activity that is opposed to the negativity often found on the anonymous messaging app, and on social media in general. “You’re brightening someone’s day and everyone’s having fun. It’s better than having all these negative comments about people in New Rez and various groups around campus. The nursing students have been singled out and same with cheerleaders and the guys’ baseball team,“ Molson said. Those with a little time on their hands and an appreciation for a good treasure hunt can save their beer money, and those with a little to spare can brighten a stranger’s day.